SundanceTV is re-cracking the case of In Cold Blood. Recently, the network announced they’ve ordered a new event series called Murder in the Heartland: In Cold Blood Revisited. From filmmaker Joe Berlinger, the docuseries will re-examine the brutal 1959 murders of a small-town Kansas family. The case was made famous by Truman Capote’s book In Cold Blood and its 1967 film adaptation starring Robert Blake. In addition to the event series, SundanceTV will air the film In Cold Blood in honor of its upcoming 50th anniversary. NEW YORK, NY, October 14, 2016 – SundanceTV announced today that it has ordered a four-part true crime documentary event series “Murder in the Heartland: In Cold Blood Revisited” (WT), focused on the brutal murder of the Clutter family in a small Kansas town in 1959, the resulting investigation, convictions and executions of Perry Smith and Richard Hickock, chronicled in Truman Capote’s landmark book, In Cold Blood. The series, produced and directed by Academy Award-nominated and Emmy and Peabody Award-winning documentary filmmaker Joe Berlinger, will present a 360-degree view and re-examination of the crime and subsequent events. 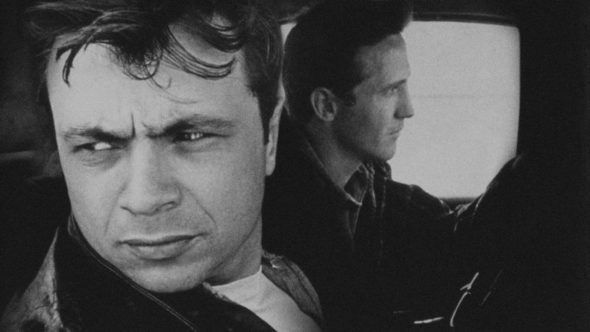 SundanceTV has also obtained the rights to the 1967 Academy Award-nominated film “In Cold Blood,” starring Robert Blake, and will feature the film, in its 50th anniversary year, along with the new series as a true programming event. Berlinger is a pioneer in the true crime documentary genre, beginning with the Sundance-winning landmark “Brother’s Keeper” in 1992 which has influenced a generation of filmmakers, followed by the “Paradise Lost Trilogy” that resulted in the release of the wrongfully convicted West Memphis Three and more recently his “Whitey: United States of America vs. James J. Bulger,” which explored the dark underbelly of the criminal justice system. He has also been a veteran contributor to the Sundance family, with six of his feature documentaries premiering at the prestigious annual festival and executive-producing six seasons and directing 22 episodes of RadicalMedia’s award-winning Iconoclasts series that ran on Sundance TV from 2005 to 2012. An AMC Studios, RadicalMedia and Third Eye Motion Picture Company production, the documentary series is expected to premiere on SundanceTV next year, coinciding with the 50th year anniversary of the film version of Capote’s book, which starred Robert Blake and garnered four Academy Award nominations. What do you think? Have you read or seen In Cold Blood? Will you watch the new SundanceTV event series? More about: Murder in the Heartland: In Cold Blood Revisited, Murder in the Heartland: In Cold Blood Revisited: canceled or renewed?, SundanceTV TV shows: canceled or renewed?